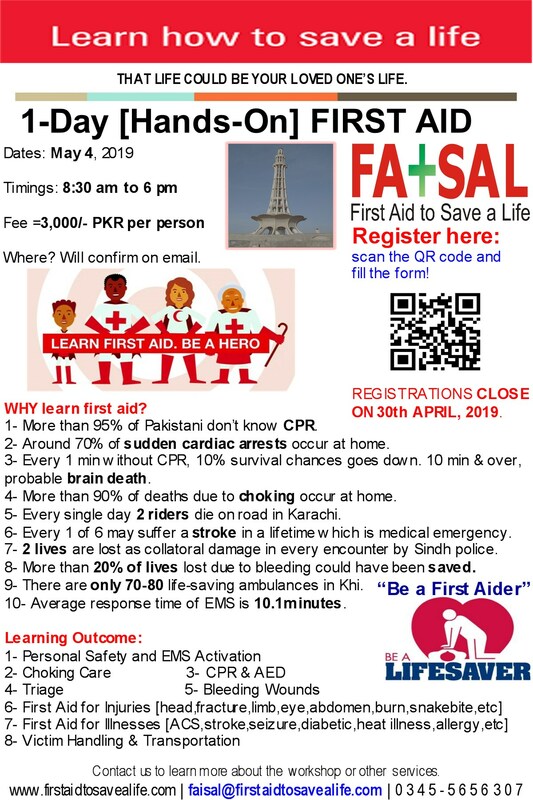 First Aid to Save a Life Pakistan want to share their knowledge and experiences to contribute their part to society so that they can “Learn, Remember and Perform to Save Lives”. With this spirit in our heart and soul following the path to learn ourselves and share with others we would like to move forward to create awareness on First Aid, CPR and AED topics especially for occupational sites. With this in our mind, we would like to start from some very inspirational real life stories, those who changed our lives, those who benefited whole mankind, those who done lot of good to humanity and we have saved lot of lives but have to do more to save more and more lives by spreading the knowledge and sharing our experiences. In our today’s post we will list a brief history of CPR invention. We are bringing the details to our forum (courtesy to AHA) to make it public for our group members. In 1954, Dr. James Elam proved that expired air was sufficient to maintain adequate oxygenation. He worked hard on it throughout and after two years jointly with Dr. Peter Safar, they invented mouth-to-mouth resuscitation in 1956. Both worked together and discovered the airway, head tilt and chin lift techniques as well along with the mouth-to-mouth resuscitation. In 1957, Dr. Peter Safar combined the A (Airway) and the B (Breathing) of CPR with the C (chest compressions), and wrote the book ABC of Resuscitation, which established the basis for mass training of CPR. In 1960, Cardiopulmonary Resuscitation (CPR) was developed. The American Heart Association (AHA) started a program to acquaint physicians with close-chest cardiac resuscitation and became the forerunner of CPR training for the general public. In 1973, AHA promulgated standards for this A-B-C system for CPR training for public domain. This is how they invented A-B-C system to save lives. This entry was posted in First Aid CPR and AED and tagged ABC in first aid, ABC of Resuscitation, ABC of Resuscitation by Dr. Peter Safar, airway breathing and circulation, American heart association, closed chest compressions, cpr invention, cpr trainings, dr james elam, dr peter safar, first aid, first aid and cpr, history of cpr, mouth to moth resuscitation. Bookmark the permalink.